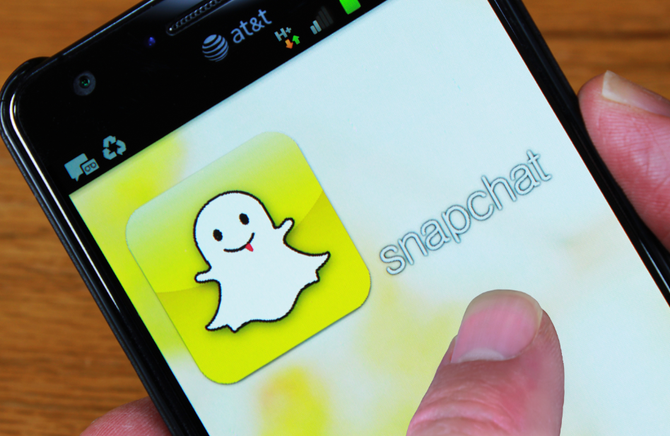 British media giant, Daily Mail and General Trust (DMGT), is teaming up with Silicon Valley startup Snapchat in a bid to push content from the Mail Online website to mobile users. The company is tapping into a new Snapchat feature called Discover, which is a new way for readers to explore stories from different editorial teams.Through the partnership, DailyMail.com will be given its own dedicated news channel on Snapchat, as will eleven other publications including National Geographic and Vice. "Social media companies tell us what to read based on what's most recent or most popular. We see it differently. We count on editors and artists, not clicks and shares, to determine what's important. "Discover is different because it has been built for creatives. All too often, artists are forced to accommodate new technologies in order to distribute their work. This time we built the technology to serve the art: each edition includes full screen photos and videos, awesome long form layouts, and gorgeous advertising. "Discover is new, but familiar. That's because Stories are at the core - there's a beginning, middle, and end so that editors can put everything in order. Every edition is refreshed after 24 hours - because what's news today is history tomorrow. "Discover is fun and easy to use. Tap to open an edition, swipe left to browse Snaps, or swipe up on a Snap for more. Each channel brings you something unique - a wonderful daily surprise!" Mail Online publisher and editor-in-chief, Martin Clarke, said: "Every day DailyMail.com will offer Snapchat users 10-15 of its best news stories. "Stories are either full length articles or the best video stories of the day. It will encompass a collection of breaking news, showbiz, lifestyle and all of the stories that DailyMail.com is famous for." Jon Steinberg, CEO of Daily Mail North America, added: "DailyMail.com on Snapchat is news and entertainment in our style and substance but also custom to this new media channel. "I think the notion of channels and 'snaps' as news makes Discover something truly different from what anyone's seen on a social platform to date." The new Discover feature will be available to all users of the app who download the latest update. Other partners are ESPN, Comedy Central, the Food Network, CNN, Cosmopolitan, Yahoo! News, People, National Geographic, Vice and Warner Music Group.